It is no accident that this despicable terror attack in Ahvaz occurred on the anniversary of the beginning of the Iran-Iraq War, which produced more casualties than any conflict since World War II. 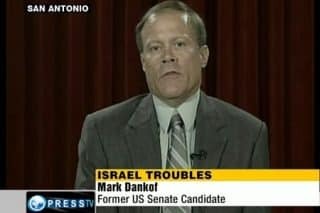 Mark Dankof is the former 36th District Chairman of the Republican Party in King County/Seattle. He was an elected delegate to Texas State Republican Conventions in 1994 and 1996 and entered the United States Senate race in Delaware in 2000 as the nominated candidate of the Constitution Party against Democratic candidate Thomas Carper and Republican incumbent William Roth. Jonas E. Alexis: I have argued in the past that the New World Order is essentially a world in which practical reason in the moral and political order plays virtually no role. The New World Order’s most enduring legacy is contempt for morality and what Immanuel Kant calls practical reason in the comprehensible universe. This is an essential point. Our dear friend and colleague Mark Dankof has recently taken the New World Order by the horn and cut it to pieces. He has exposed NWO agents in Iran and elsewhere, and he deserves to be applauded. I am sur that you won’t be disappointed in his recent piece here. Tasnim: As you know, 25 people were killed and dozens of others injured after unknown terrorists opened fire at a military parade in Iran’s southwestern city of Ahvaz on Saturday. What is your take on the attack? Dankof: It is no accident that this despicable terror attack in Ahvaz occurred on the anniversary of the beginning of the Iran-Iraq War, which produced more casualties than any conflict since World War II. The launching of that conflict by Iraq had the full backing of the United States, Israel, and Britain among others, and was designed to strike back at the then newly established Islamic Republic of Iran in the wake of the overthrow of the Pahlavi Regime. The Ahvaz horror perpetrated during an Iranian military parade occurs against the backdrop of the totally irresponsible statements and policies of the current Zionist-Neo Conservative foreign policy team of Donald Trump led by John Bolton, Mike Pompeo, and Nikki Haley, who clearly want an American-Israeli military conflict with Iran at the behest of Benjamin Netanyahu and his sycophants in the American Congress and American Mainstream News Media. The probable use of al-Ahvaziya in the Ahvaz attack mirrors the longtime use of the Mujahedeen e-Khalq (MEK/MKO) in carrying out terror attacks and assassinations on Iranian soil, including the latter’s pivotal role in the murder of Iranian nuclear scientists in Tehran. Both of these terrorist organizations are based abroad, the latter currently headquartered in Albania. Both organizations have shadowy connections to the players ultimately behind the crime in Ahvaz, which are the United States, Israel, Saudi Arabia, and the UAE. These nation-states are provably behind the use of Wahhabic terrorists imported into Syria as a means of overthrowing the Assad regime to set up the complete isolation of Iran in the Arab world, the continued encirclement of Russia, and an enhanced position from which to attack Iran and South Lebanon militarily. This is part of a larger set of Zionist-Neo Conservative aggressions against Iran with the Regime Change mantra being chanted by Rudolph Giuliani, a stooge of both the MEK and the Israeli Lobby, and the aforementioned Bolton, Pompeo, and Haley among many others, being the endgame. The employment of terrorists in Iran is but one. The others are the renewed and increasingly draconian economic sanctions put in motion by the Trump Administration against Iran subsequent to the former’s illegitimate pullout from the JCPOA/P5+1 Treaty with Iran at the behest of Zionist interests and pressure on the President of the United States, and the ultimate use of American, NATO, and Israeli overt military force if all else fails. The fascinating thing is that the announced cooperation of the European Union, Russia, and China in the creation of a clearing house system that would allow their companies and others to continue to trade with Iran by circumventing Western banks, has Mike Pompeo and the other members of the Netanyahu-Saudi War Team screaming foul. This is but one of the many unintended consequences for the reckless and irresponsible actions taken by the Administration with Netanyahu’s Tail Wagging the Dog. Tasnim: According to media reports, the al-Ahvaziya terror group, whose recruits are believed to be scattered in several European countries, including in the Netherlands and in Denmark, claimed responsibility for the attack in Ahvaz. The terror outfit, which is backed by Saudi Arabia, has a record of carrying out sabotage acts in Iran’s Khuzestan province, which encompasses Ahvaz and some other Arab-dominated towns. How do you see the role of Riyadh in the attack? Dankof: As already mentioned, I believe they were directly involved in the utilization of those who carried out this criminal act in Ahvaz, for reasons previously articulated. They have the motive, the means, the opportunity, and the criminal mindset necessary for such an event. Look at their genocidal war being conducted in Yemen with the military, political, and logistical support of the United States. Look at their pivotal role in supporting ISIS (Daesh) and the al-Qaeda affiliates in a war against Assad’s regime in Syria that has killed at least 500,000 people and displaced half the population of 17 million. Their latest criminal attacks on Shiite believers in their own Eastern Province is but another example. Tasnim: Following the attack on Saturday, Abdulkhaleq Abdulla, an adviser to the Abu Dhabi government, justified the attack on Twitter, claiming that it was not a terrorist attack and that “moving the battle to the Iranian side is a declared option”. “Attacks of this kind will increase during the next phase,” he said. What do you think? Dankof: Mr. Abdulla simply corroborates what I have said about this matter. If one thinks about it, he looks and sounds like a cross-dressing John Bolton with a Sunni turban on. Denying the inherently criminally terroristic character of the attack, and employing incendiary rhetoric like “Moving the battle to the Iranian side is a declared ‘option’. . . . Attacks of this kind will increase during the next phase,” suggests a psychotically criminal outlook that mirrors the latest lies of the American National Security Advisor to the President of the United States. Bolton blamed Iran for the recent shootdown of the Russian IL-20 surveillance aircraft clearly to be blamed on the approximately 200th illegal Israeli air strike on Syria, where the IAF used the Russian aircraft as cover to fool the Syrian S-200 anti-aircraft missile system into killing 15 Russian military personnel. At the same time, The Times of Israel tells us that Bolton’s latest appearance before the United Against Nuclear Iran front organization in New York produced his most incendiary rhetoric yet, including warning the Iranian government of “hell to pay” for the latter’s failure to bow down to Zionist threats and aggression. Tasnim: Reports suggest that US National Security Adviser John Bolton, Secretary of State Mike Pompeo as well as Saudi Crown Prince Mohammed bin Salman were behind the attacks. Do you believe so? Dankof: I obviously do believe this based on answers to the first three fine questions raised. There is another dimension of this war that needs to be understood by the fine people of Iran, Syria, Russia, and elsewhere who read my articles and hear my broadcast appearances. On that show, using public sources, we demonstrated who was behind the recent efforts to establish a False Flag Chemical Attack in Idlib Province in Syria designed to be falsely blamed on President Assad and to justify an American military attack in that country. YouTube blocked that broadcast from being aired in 40 countries only one day after the show was released. This is but one instance of this increasingly frequent phenomenon. The ante with all of this has recently been upped with the Trump Administration’s naming of Jewish Zionist activist attorney Kenneth L. Marcus to the Assistant Secretary for Human Rights for the US Department of Education. Why is this significant? It is significant because the Trump Administration has now adopted a definition of “anti-Semitism” in schools (Politico, Sept. 11th, 2018) which 1) equates any criticism of Israel as “anti-Semitic”; and which, in accepting the definition adopted by the draconian Global Anti-Semitism Review Act passed by the American Congress in 2004 and signed into law by President George W. Bush, makes a series of things “anti-Semitic” that are in fact demonstrably true when examined and researched objectively and dispassionately. The list of these is provided by cursory Internet research. This is not only an assault on the First Amendment’s guarantee of Freedom of Speech in the United States, but is following the draconian curtailments on freedom of speech and association well underway in Europe, the UK, Australia, and elsewhere. Here, the Alternative Right is the most obvious target in the crosshairs of this Kosher Gestapo. Why? Because certain of their media outlets have not only linked Israel to the vast majority of crimes committed by the United States in that region, but because the Alternative Right has spoken out on the truth about Zio-Lies related to the First and Second World Wars, the Federal Reserve Board, the Kennedy Assassination, the Lavon Affair, Israel’s deliberate attack on the USS Liberty in 1967, the Pollard and AIPAC spy cases, Israel’s role in using the MEK in acts of terror in Iran, and the pivotal role of Jewish pressure and lobby groups in bringing legalized abortion and gay marriage into play in the United States in my lifetime. As we continue exposing the Zionist-Globalist War on Syria, Palestine, Iran, and Russia, we shall continue to expose the War Party’s War on legitimate dissent and protest in the United States. It is a seamless garment. The war is relentless. It is being waged on two fronts. The forces that target me and other members of the Alternative Right media in America are targeting the people of Iran simultaneously. It was obvious from the start that Pisrael had their puppet strings already attached to the orange ape now occupying the White House. with the inclusion of cross dressing Bolton and pompous Pompeo, ex CIA stooge and drug runner, along with nasty Nicki Haley, Satanyahu’s favorite whore, the route of America’s sovereignty is complete. America is now a colony of Pisrael. The American people have been subjugated by the worst type of creatures: talmudic zionists, otherwise known as demons from hell. I’m sure that not even ole Scratch hisself could brew up anything as bad as these types. Israel has become the planet’s worst nightmare. No one is safe or free until that nasty little hell hole is finally taken down and the leaders given the same treatment that Saddam received…..and toss in John Pollard . Mark Dankof is a true American…. a real America first , not the phony b.s. spewed from the mouth of that orange ape in the White House.